Benjamin Franklin has been attributed to saying that, “Failing to plan is planning to fail.” With so many priorities in our everyday lives, sometimes as much as we would like to eat healthy, the hectic nature of our everyday lives gets in the way of that. 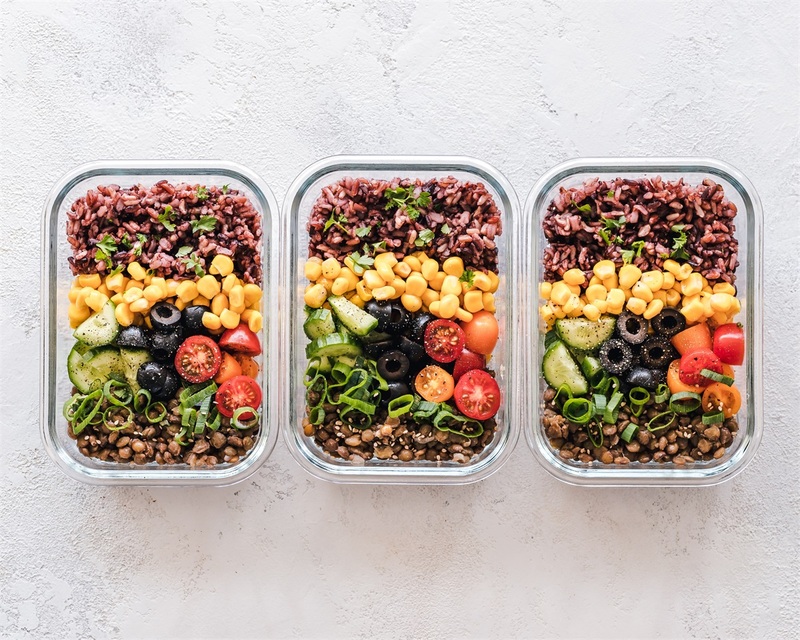 Fast and easy foods are tempting to eat when your budget is about to go into the red, however the key to eating healthy is to follow Mr. Franklin’s advice and plan. Meal prepping, grocery shopping and maintaining a tight budget can be tricky, but it’s doable. Read on to learn how to make sticking to your budget and eating healthy feel like a piece of cake! Have the right tools beforehand and get organized. The Internet is a treasure trove for free, healthy meal ideas and recipes. Check out websites like Pinterest, Cooking Light and EatingWell for inspirations for your weekly meals. It might even help you branch out into new cuisines you hadn’t tried before. If you don’t own one already, invest in a Crock-Pot! Handy and convenient, you can easily cook meals far in advance to prep for the week, or start a meal in it before leaving for work for the day. Almost every grocery store has a loyalty or rewards program available, either through a phone app or mailer list. These are great ways to automatically receive discounts and coupons for the foods you already buy. Some examples of grocery stores that offer rewards programs are Target, Safeway, Albertsons and even Whole Foods. You can also check out your grocery store’s weekly flyer and hunt for sales, which is a great way to plan your meals accordingly around what is the cheapest. iBotta - a popular rebate app that kicks you back money when you buy sale items. Write down what you will eat each day for breakfast, lunch and dinner, as well as drinks and snacks. Once you have an idea what your weekly menu will look like, plan it out and make your grocery list. Decide what you need to buy and what you already have or can substitute. While shopping, learn how to read price labels: look at the label for “price per ounce” (usually number on left side of price tag). Being able to analyze this number will ensure you are getting the most of your money instead of being fooled by package sizes. Remember that whole, unprocessed foods are more nutritionally dense and cheaper than processed foods. Yes, a bag of chips may be less expensive, but health-wise, produce is going to save you money in the long run. Buy fruits and veggies when they are in season, slice or prepare them, and freeze them! You can eat fresh all year round, even when produce isn’t in season. Try making your own vegetable or chicken stock for soups and other dishes! See recipe for more. Growing your own herbs and vegetables is an inexpensive and satisfying way to eat healthy. Even most small apartment complexes allow balcony tomatoes and small container gardens. Repurpose leftovers and get creative: If you cook a chicken over the weekend, you can extend it into your meals in different ways all week. Spending the energy to cook something once instead of throughout the week is smart and wallet-friendly. The bulk section is your friend! Save money by stocking up on pasta, rice, oats, herbs and spices when they are on sale. Once you get the hang of meal prepping, having lunches and snacks prepared for the next day will be a snap. If you can remember to take food with you, eat before you leave home, and keep snacks handy, it will save you money when hunger strikes!